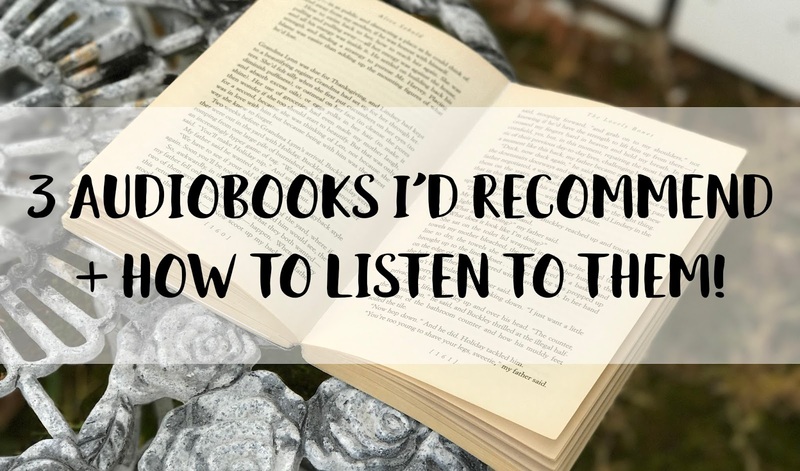 Bookworm Boutique: Three audiobooks I'd recommend to those who don't usually listen to books (and how to listen to them)! Three audiobooks I'd recommend to those who don't usually listen to books (and how to listen to them)! Are you someone who shakes your head at the sound of the word "audiobook"? Do you think they're just not for you? That was me until about a year ago. I decided that with my increased work load I'd never get any books read if I didn't start listening to them and basically, I fell in love. Here are three audiobook recommendations for those who are a bit reluctant! 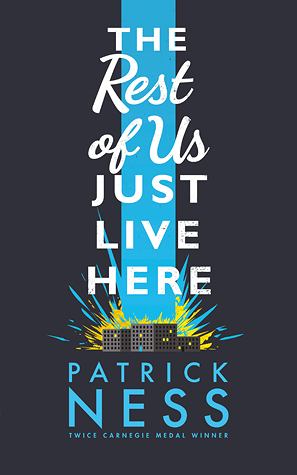 I have genuinely never had such fun listening to an audiobook, January pulls off a lot of different characters, not just their accents but the type of personality they all have. The best part is that the book is told from a bunch of different POV's but because of LaVoy's amazing style, I could tell who was speaking before any name was said. Josh and I had the pleasure of listening to this book on the four-hour drive to Matamata (that's where Hobbiton is for those of you who didn't know!) and by the time we got there, we barely wanted to get out of the car! Fouhey did a fantastic job with the comedic side of the book and made a very believable teenager. What if you aren’t the Chosen One? The one who’s supposed to fight the zombies, or the soul-eating ghosts, or whatever the heck this new thing is, with the blue lights and the death? 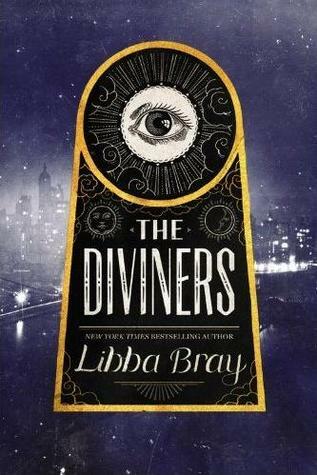 I'm not usually someone who can listen to a fantasy book, and I know that The Raven Boys isn't technically fantasy, but it does have a lot of fantastical elements which can be difficult to hold on to but I didn't really worry about that with this narrator. He really spoke the story wonderfully and his female voices were kind of rad. I'm only saying the first book here but I listened to all four and loved each one more than the last. 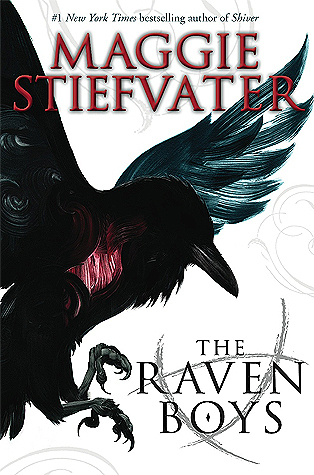 Plus you get to listen to the music that Stiefvater composed for all four books! How do I enjoy my audiobooks? So, I've suggested you listen to audiobooks but you may not know of a way to actually listen to them. Never fear! I have a couple of suggestions (that hopefully shouldn't break the bank! My first suggestion is to use Overdrive. Overdrive works with your local library, so all you have to do is pop in your library and library card number and you should get access to all the books that your library does (this also includes e-books). Overdrive is my main source of audiobooks! The second app I've used in the past for audiobooks is Scribd. Scribd involves a monthly subscription fee which gives you access to audiobooks, e-books, news & magazines, and documents! Of course, it also only allows you to listen to certain material based on your location (this is to do with local rights). Another downside of Scribd is that you're only allowed a certain number of audiobook listens each month. When I was using Scribd I used it to keep up with all my favourite comic books. -- Offers a 30-day free trial! Lastly, the one I'm pretty sure everyone knows and loves, Audible. Audible is also a service that charges a monthly fee which is $14.95 and gives you one audiobook credit. Any extra books you'd like after that is an additional $14.95. To be honest, I think that's a pretty good price as audiobooks are generally pretty expensive! Which audio books have been your favourite to listen to and how do you listen to them?